Have you ever thought about designing music for the skin? Yes, music for the SKIN! DC Listening Lounge along with partners Not Impossible Labs (NIL) invite you to join this incredible workshop. 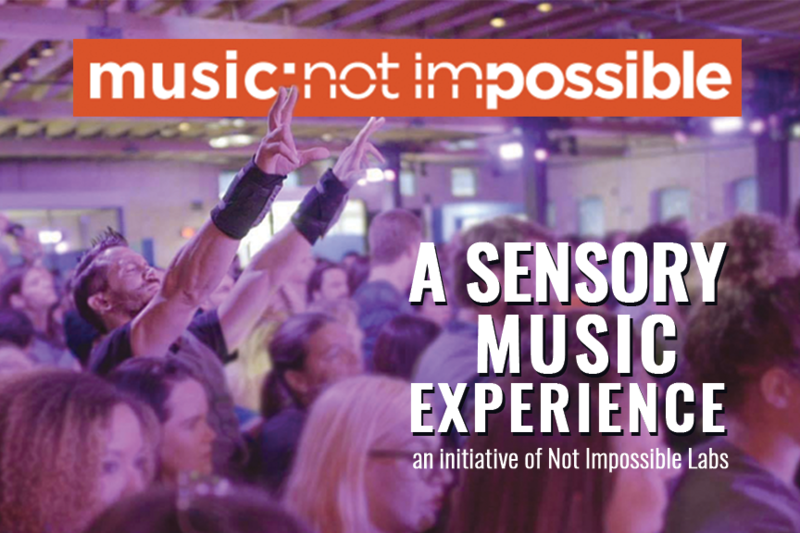 The Not Impossible team has been obsessed with the concept for years and want to demonstrate and teach the tools and creative mindset necessary to produce a vibrotactile musical experience in a mind-blowing futuristic workshop. All you need is an open mind and your own computer. Our team will provide the hardware and tools during the workshop. Our patented wearable technology is comprised of a vest with 4 vibrotactile areas, 2 wrist bands, and 2 ankle bands operated wirelessly with no perceptible latency. (Which is as cool as all get-out.) The suit targets 8 areas on your body giving the wearer a FULL BODY SURROUND SOUND EXPERIENCE. Our resources are limited, so participants for this free workshop will be accepted through a simple application process here. ​Daniel Belquer is the director of technology at Not Impossible Labs. He is an international intermedia artist working with installations, performance, music, lighting, video art, sound art and physical computing. He has been working with Music: Not Impossible for three years. The original goal of the project was to improve the deaf's community live concert experience by sending dynamic rhythmic vibrations to the skin. The response from the wider public was much stronger than anticipated, and MNI has evolved into a full platform. It now encompasses hardware, software, wearables and expressive tools for designing and broadcasting vibrotactile art.